What Is dorsaVi Movement Suite? We want to keep you safe, optimize your performance and help you recover. To do that, we need to tailor a treatment plan that’s unique to you. Now we have a great tool that does just that. It’s called the dorsaVi Movement Suite and it uses revolutionary wireless wearable sensors to objectively measure exactly how you move. These are the same sensors that elite sports trainers are using with Olympians and professional athletes to measure range of motion, acceleration and muscle activity. 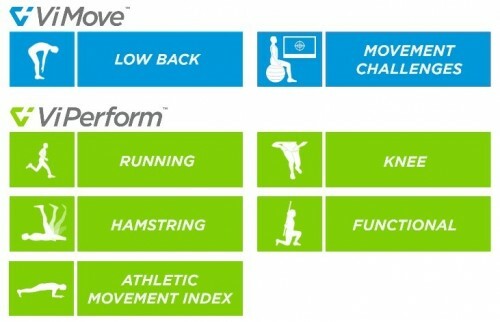 By recording data at 200 frames per second, at dorsaVi Movement Suite provides our team with visual, objective, easily interpreted data to assess your technique and movement for performance analysis and muscle re-education. Give as a call or visit our clinic to learn more about what the dorsaVi Movement Suite can do for you. You can also find more information at dorsaVi’s website: http://us.dorsavi.com/ or watch our featured video on CBS 6 news. Contact Capital Area Physical Therapy for more information on how these techniques can provide benefits for you. With physical therapy clinics in Saratoga Springs and Queensbury NY, they provide professional PT and wellness services, care and sports injury evaluation. CAPT remains committed to using the latest technology to measure movement in ways that were never before possible.